The #spring is in the air, it’s getting warmer, and it’s beautiful. Here a few healthy living tips that will help you have a better spring. According to a study published in Annals of Allergy, Asthma & Immunology, allergy sufferers with persistent stress experience more allergy flare-ups. According to the researchers, “While alleviating stress won’t cure allergies, it may help decrease episodes of intense symptoms.” You can reduce stress with meditation and/or deep breathing exercises. Go for a walk or a run; take a bike ride or a spin class. Eat right, get enough sleep, and take care of other #health conditions. Easter is coming, and you need to beware of the calorie costs of holiday eating. Traditional honey-glazed Easter ham can be about 150 to 200 calories per 3 ounces, and you will most likely have at least two portions. What about those hot cross buns? They are about 250 calories per bun. What about all that candy? When you get a great-tasting strawberry, it’s hard to believe it’s really good for you. Strawberries are loaded with fiber, potassium, vitamin C and folate. And one large strawberry has only six calories (One cup of strawberries has 46 calories; 0.45 g fat; 11 g carbs; 3 g fiber; 1.5 g protein). Research conducted by the UCLA Center for Human Nutrition at the David Geffen School of Medicine and others has shown that strawberries have potent antioxidant, anti-cancer, anti-atherosclerotic (prevents hardening of the arteries, which leads to heart disease and stroke) and anti-neurodegenerative (leads to Alzheimer’s) properties. Pick bright, firm strawberries with vivid red color. The tops should be fresh, green and intact. They will keep in the refrigerator for two to three days. Wash them only when ready to eat. Dunkin’ Donuts (www.dunkindonuts.com) may not be the best place to hang out if you’re on a #diet, but they do have some good drink choices. Their flavored coffees are very good: about 20 calories per 10 ounces (without sugar or milk), and they’ve just added an iced green tea. According to a Dunkin’ Donuts spokesperson, they use twice as much ground coffee in their iced coffee as they do in their hot coffee. “By using this double brewing technique, we’re able to ensure that our iced coffee has the same signature, smooth taste that our guests have come to know and love from our Dunkin’ Donuts hot coffee.” But don’t go there if you can’t resist the doughnuts. Bring a few “home” belongings. Your kids’ favorite snacks, their blanket or a pillow from their bed, which can ease anxiety. Don’t expect perfection. Vacations should be about spending time together, not meeting impossible standards of perfection. Do expect the unexpected. Planning and budgeting for the unexpected can alleviate stress for parents, and in turn, entire families. Be sure to plan for rainy days and budget for extra room service costs. Structure your relaxation. Kids respond well to structure and predictability — two things often lacking in a vacation. Stretch, even for a few days prior, before you begin working in the garden. Use a fat, rubberized or padded handled trowel made from one piece of metal from top to bottom. This allows for a tight grip under damp conditions, less possibility of breakage in the tool, and less strain on the arms and joints. Tools, such as shears or clippers, with a spring-action, self-opening feature are helpful to prevent strain on the muscles and joints, but they should be well-oiled to open and close easily. Sit while working, or take sitting breaks to conserve energy and decrease stress on your back, knees and hips. When lifting potted plants or bags of mulch and dirt, bend your knees and lift straight up, keeping your back as straight as possible. Concentrate on using the leg muscles rather than the back muscles to lift, and avoid twisting and turning while lifting as this can strain your back. Do not try to whip your entire garden into shape in one day. This mentality leads to “overdoing it” and sore Monday mornings. The spring starts tick season in many communities. Unfortunately, according to experts, the only sure way to prevent tick-borne diseases like Lyme, Rocky Mountain spotted fever, ehrlichiosis and anaplasmosis is to not get bitten by a tick. The longer a tick is embedded in you the greater the risk of infection, so check yourself, or have friend check you, for ticks as soon as you come in from being outdoors. 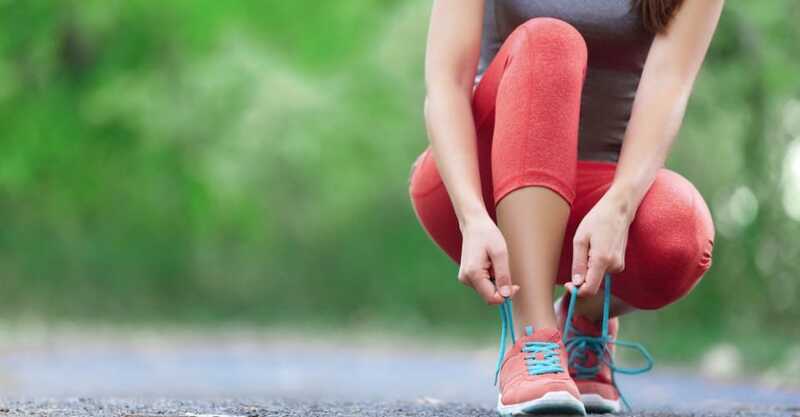 Shoes, boots and clothing can be treated with a permethrin-based repellant, widely available at sporting goods and outdoors stores, that can provide weeks of protection and last through several washings. Tuck pants into socks to reduce exposed skin. When hiking, stay on existing paths and avoid walking in brushy areas or tall grass – favorite haunts of ticks. If you find a tick, use tweezers to remove it as close to the skin as possible. Don’t grab the tick with your fingers and squeeze to remove. Squeezing injects the tick fluids into you and increases the risk of infection. If you’ve been bitten by a tick and then develop a fever one to two weeks later, see your doctor. The incubation period for tick-borne diseases is eight to 14 days. Be sure to protect the family dog with a tick collar or monthly treatments to prevent ticks from being brought into the house on the dog’s coat.